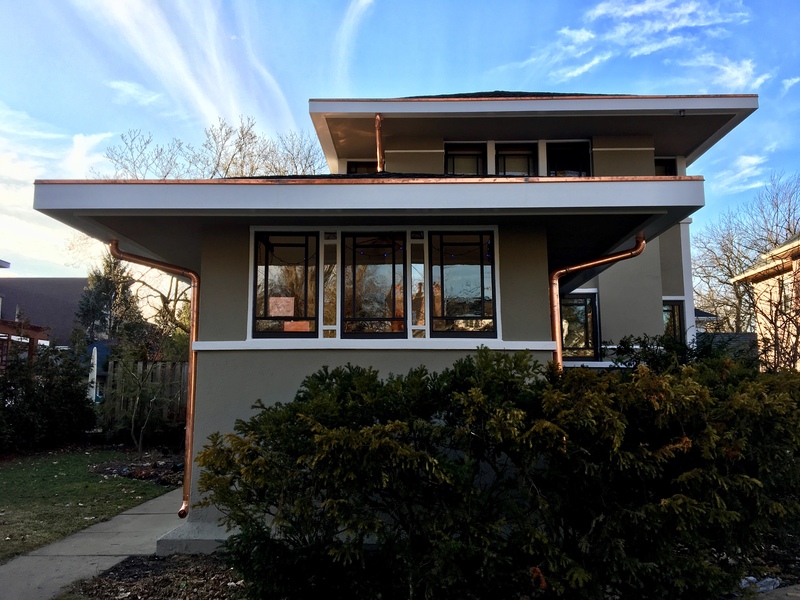 Our roofer has started installing the copper downspouts. Our kitchen cabinet installation was paused due to a ceiling height issue, and our builder had to re-order slightly shorter upper cabinets. 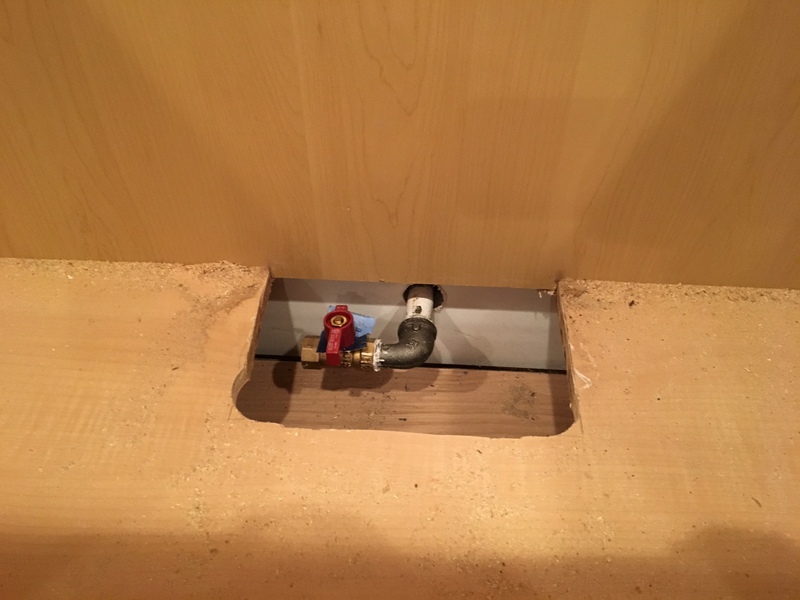 That delayed our scheduled appliance measure and installation. 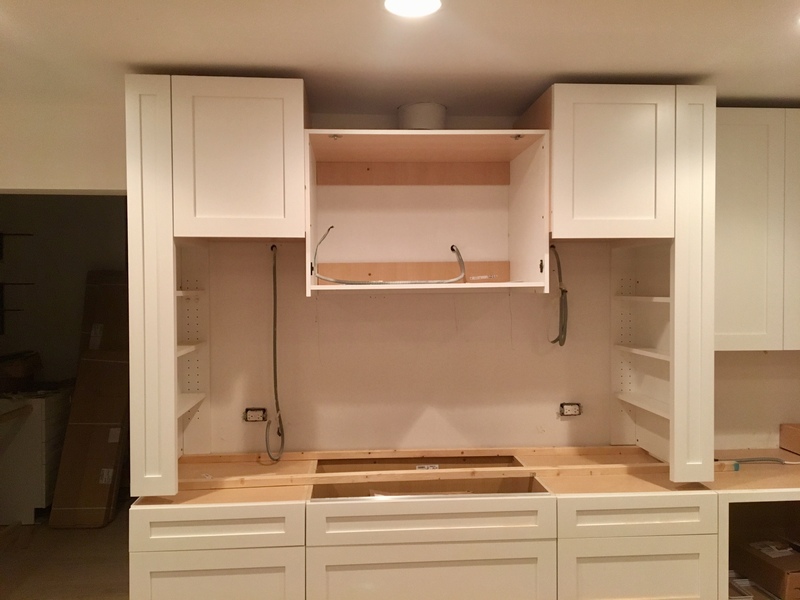 The new cabinets arrived and installation is now nearly complete. This time around, only one of the cabinets is the wrong size. Unfortunately, it’s the cabinet that the hood will be attached to, so that will probably cause an additional delay for the project.